Jim wants to book a specific hotel: The Paradisus on November 17-23. I am looking to go on a trip to the Paradisus Hotel in Playa Del Carmen from November 17-23. I am going for a wedding and I have to stay at that hotel. I do not have any points or miles to use towards this hotel booking but I was wondering if there are any methods I can use to discount this hotel booking. So there are a few things that you can look at doing when you are trying to book a specific hotel. In this case, we are looking at the Paradisus Hotel in Playa Del Carmen for Nov 17-23. There are a few options I would go through to discount this specific hotel, assuming it is not part of a chain (ie no points options here). Remember there is no flexibility on dates or hotel so we have to play the booking system / booking engines against each other rather than the hotels against each other. Price-Matching is the most rewarding but also very time consuming. I personally have not been very successful in finding and exploiting mispricings and getting free hotel nights. I think that Drew at Travel Is Free is the best at this. My process is primitive compared to his, and if you are interested in spending the energy to do this then read his stuff. Look for the hotel I am interested in at hotelscombined. 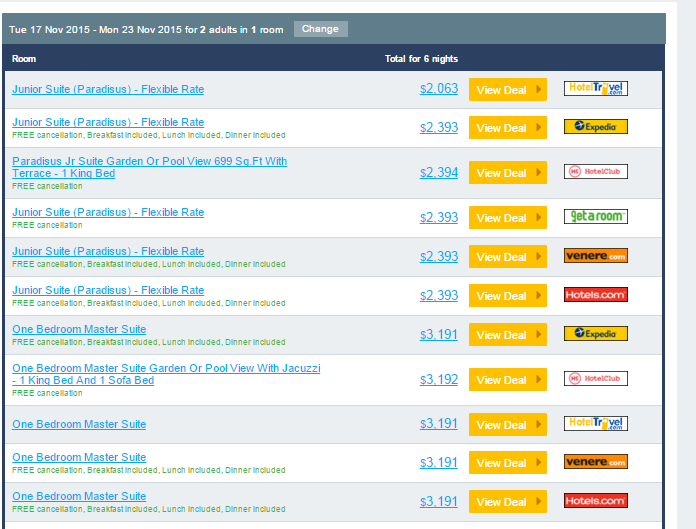 For Jim’s situation, it looks like all the prices are the same across the booking engines. From what I can gather, the Price Matching route is not going to work for this situation. In the past I have been a big fan of Priceline and Hotwire with their idea that you just want a room with certain features minimum but you are willing to take one of a few hotels that satisfy that. With their engines, the booking process is opaque and you don’t know which hotel you are going to get until after you are committed to the hotel. This doesn’t work for booking a specific hotel, so we need a transparent hotel booking engine. Travelpony is my suggestion on this front. I wrote about it here. Basically they tell you which hotels are giving which discount and you can choose them or not. They also have good coupons out there to lower the price further. The math on this can be found in the article linked above. If you are lucky, then TravelPony is the best way to discount your hotel as they usually have discounts that are quite large, in the 20% range often. 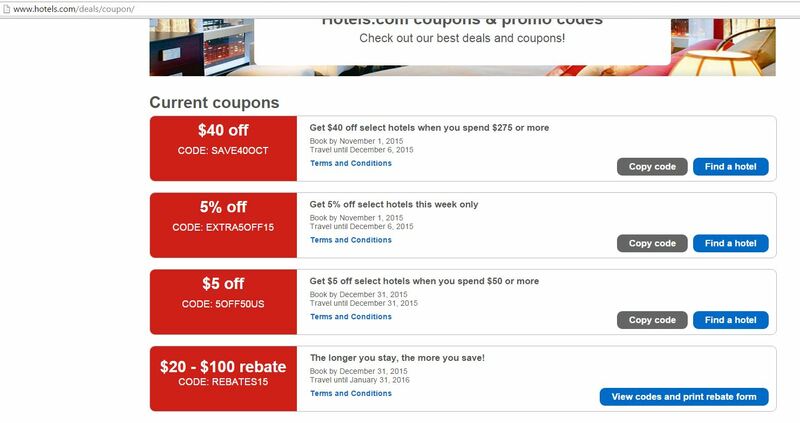 Even if your hotel is not a “discounted” hotel, the coupons that are available can still be valuable when paying rack rate through Travel Pony. In Jim’s situation, this is not going to work as the Paradisus is not listed on TravelPony for booking. It is listed there, but unfortunately, it cant be booked through TravelPony, so no discounts are available there. At this point, you have reserved yourself to paying for this at the rack rate. Now, you have to find the booking engine that wants your business more. Many booking engines have their own loyalty programs and coupons. Personally, I find the most rewarding one is Hotels.com, which offers a free night after 10 nights, up to the average value of the 10 nights. This works out to a ~9% discount. Orbitz has their own as well (Orbucks), which is more complicated but can be rewarding if you do many of these bookings, as does Expedia. In general, though, you likely wont be beating the 9% discount that Hotels.com gives. Another thing you can do is to scour the web for coupons valid on “any” hotel booked through these engines. I would search the web for “Hotels.com coupons” or “Expedia Hotel Coupons” etc. Often times, you can find something that might knock off 10% or something like that. My experience with Hotels.com is that coupons invalidate the loyalty points. For Expedia and Orbitz, I believe (though I am unsure) the coupons do not impact the Orbucks or Expedia points. The other way you are going to discount your hotel stay is by linking to your booking engine through a shopping portal. This information combined with the booking engine loyalty / coupons is what will drive your decision on where to book the hotel at the rack rate. 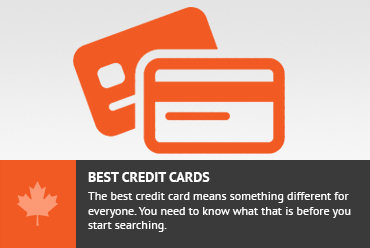 I find that the best place to compare the shopping portals is www.cashbackmonitor.com. They tend to list many of the shopping portals. Personally, I use it to compare between my preferred ones. 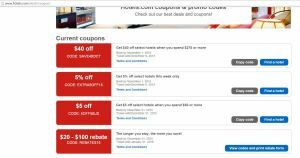 TopCashBack and eBates pay in USD and GreatCanadianRebates pays in CAD. The payouts change daily so compare on the day you are looking. My experience has been that Hotels.com generally pays in the 7% range, while Expedia and Orbitz pay slightly less for hotel bookings. These change all the time. In the current situation, it looks like this hotel is available on all the booking engines. Searching for coupons gave us some Hotels.com coupons that work out to about 5% discount upfront. I would rather take the 9% discount for a later stay, but I see value in taking the upfront discount. Pick the one that makes sense. Doing a quick search for the shopping portal, I would do TopCashBack at 7% for Hotels.com. Then book through Hotels.com and get the value of the loyalty program in the form of a discount on a future stay. In Jim’s situation, he has a few options where he can widdle down a few dollars off the price of his hotel. Don't subscribe All Replies to my comments Notify me of followup comments via e-mail. You can also <a href='https://www.creditwalk.ca/comment-subscriptions/?srp=4506&srk=2648578ecea05c83754707575dc5a494&sra=s&srsrc=f'>subscribe</a> without commenting.